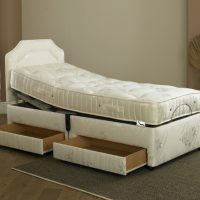 Create a unique elegant style for your bedroom with this superb adjustable bed made to exacting high standards. Available only in modern Mahogany colour (darker colour than shown in listing) and generously curved headboard the Westminster definitely makes a statement in any bedroom setting (light assembly required). Beds are available in the following sizes: 4'6", 5'0" & 6'0". (Picture shown is a 5ft model). 1 x 4'6" x 6'6'' electric mechanism with motor and handset pre-attached ready for use - 4'6". 2 x 2'6" x 6'6'' electric mechanisms with motors and handsets pre-attached ready for use - 5'0". 2 x 3' x 6'6'' electric mechanisms with motors and handsets pre-attached ready for use - 6'0". Equipped with a practical and user-friendly multi-function low voltage deluxe 6 button handset which lifts both the headend & foot-end. It comes with a 5 fold electric mechanism offering a complete choice of comfort settings. It flexes to support the five key areas: knees, hips, back, neck and head. 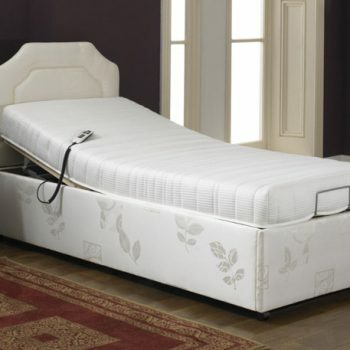 At staggeringly low prices our electric beds can come with a wide spectrum of superb mattresses. 21" Floor to top of mattress. 40" Floor to top of headboard. 5'0" (2 x 2'6" plus 2" either side). 6'0" (2 x 3'0" plus 2" either side). 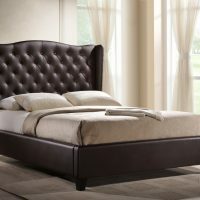 83" Total length including footboard and headboard. 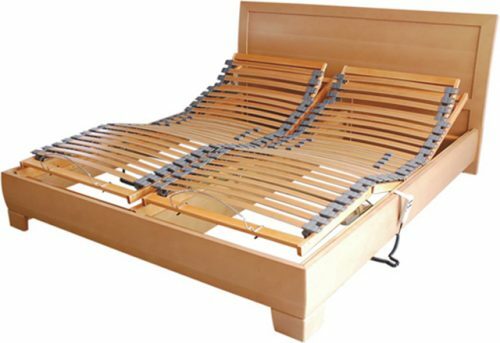 The Prestige Ambience 8" Mattress features over 450 individually nested springs in a 3ft model. Designed to give you the correct level of support. This truly stupendous mattress is finished with tufts that bind layers together closely, and nickel plated air vents to help circulate the flow of air within the mattress. The space age technology Visco Elastic 8" mattress has been carefully designed and manufactured to give you greater comfort and therefore has been known to reduce the number of times your body is likely to toss and turn during sleep. For those who prefer a more responsive mattress, the Majestic Touch offers a combination of Latex and high density foam overlaid with polyester giving a sumptuous surface to the 8" micro-quilted mattress.